Biography - Welcome to Shirin Music Lessons! Welcome to Shirin Music Lessons! 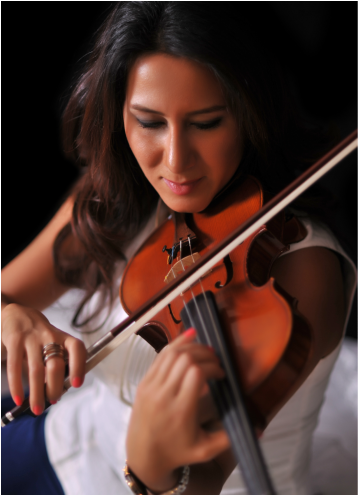 Shirin Rashidi is a professional violinist graduated with honors degree from Royal Conservatory of Music in Canada. Shirin started her classical music training at the age of 7 in Iran and has continued her master class education in Canada and United States. Shirin has been actively teaching and performing music from 2004 in many different music schools and community centers. As a professional musician, Shirin has also learned piano over her many years of music education and she also teaches piano to beginner to intermediate students at her music studio. Shirin has a very good understanding of music and she is passionate in teaching all ages and all levels students along with performing in events. Shirin is a founder of Dolce Melody Entertainment in which she has been actively marketing live musicians for various events and festivals. For more information about her entertainment business, visit www.dolcemelody.com.